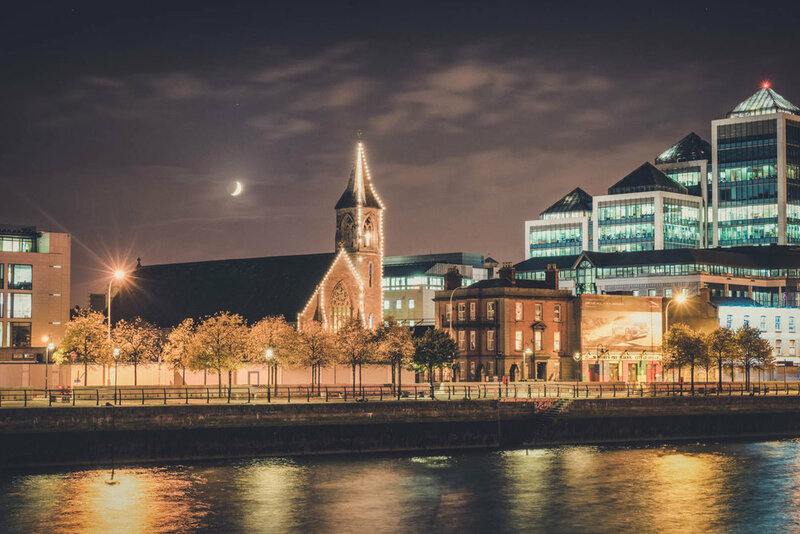 Being a photographer in Dublin, I often get asked about cool places to go and photograph the city. While there are loads of locations that you can go to capture images of Dublin, there is no one particular route that I take every time. 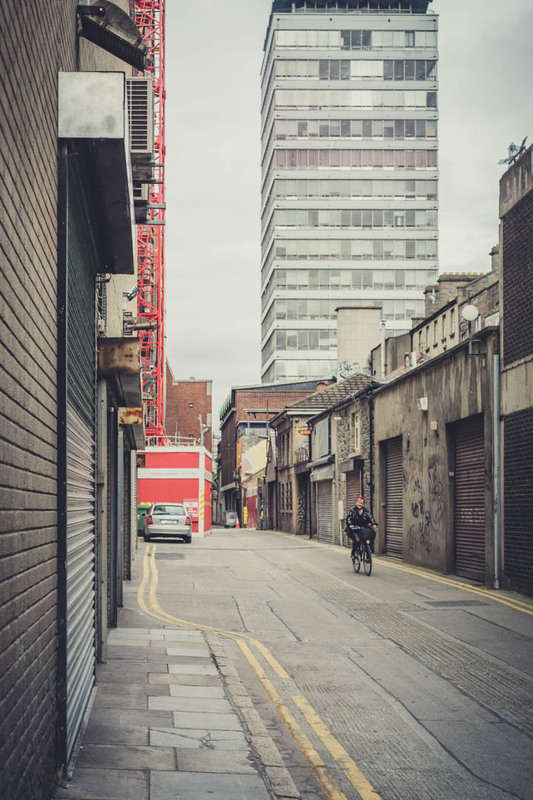 Dublin is pretty small, so it is easy to get to most places on foot and there are plenty of moments on the streets just waiting to be captured. 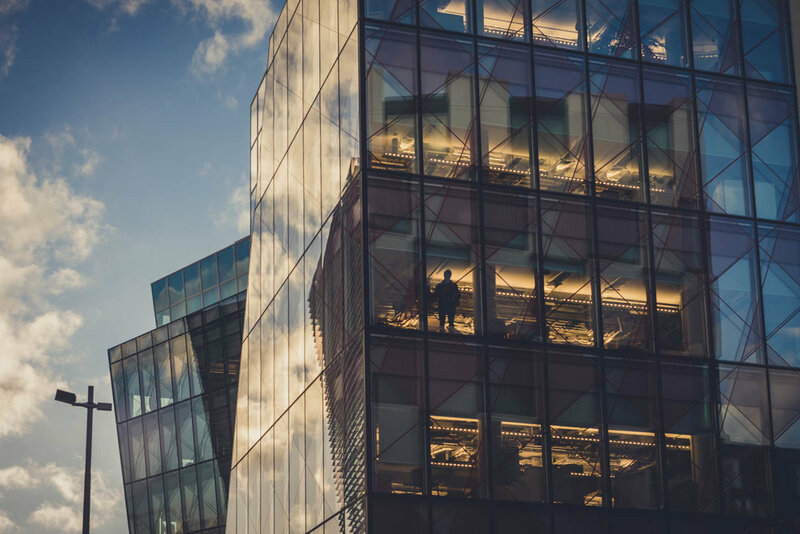 We are fortunate enough here in this city to be on the East coast of the country, so getting up good and early will be your best bet. There are some magic spots to capture the sun rising over the city, but, me being me, I simply can't get out of bed in the morning. It's a simple matter of liking the warmth of my bed WAAAY more than the idea of photographing an epic sunrise image of Dublin. A habit I am still to break in 2018! 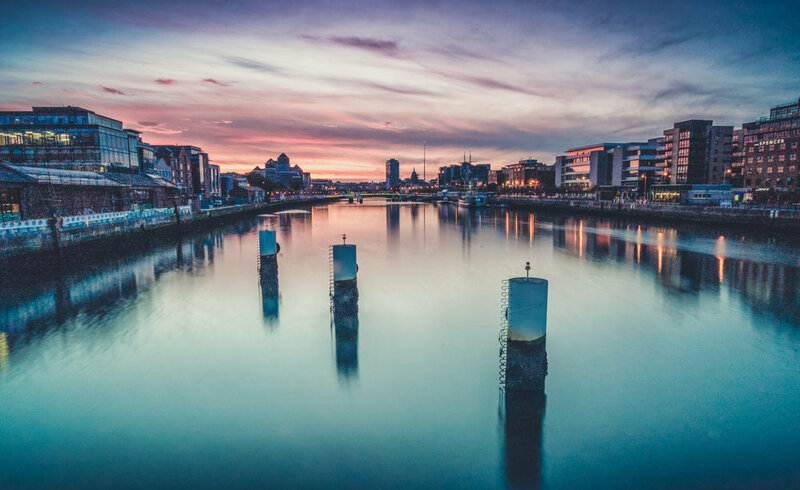 In saying all that though, we also enjoy some epic light over Dublin during the golden hour, sunset and some fantastic evening blue hour light too. So here, I will be sharing with you all, a few routes I like to walk and the particular spots I like to stop at. 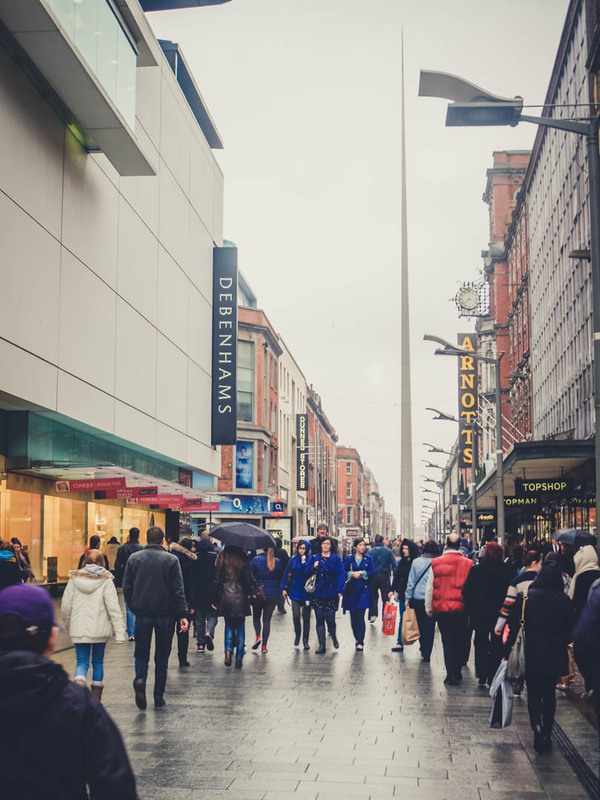 I live only about a 30-minute bus/tram ride from the city centre of Dublin so it’s really easy for me to get in and out. First thing I will say is to wrap up warm. 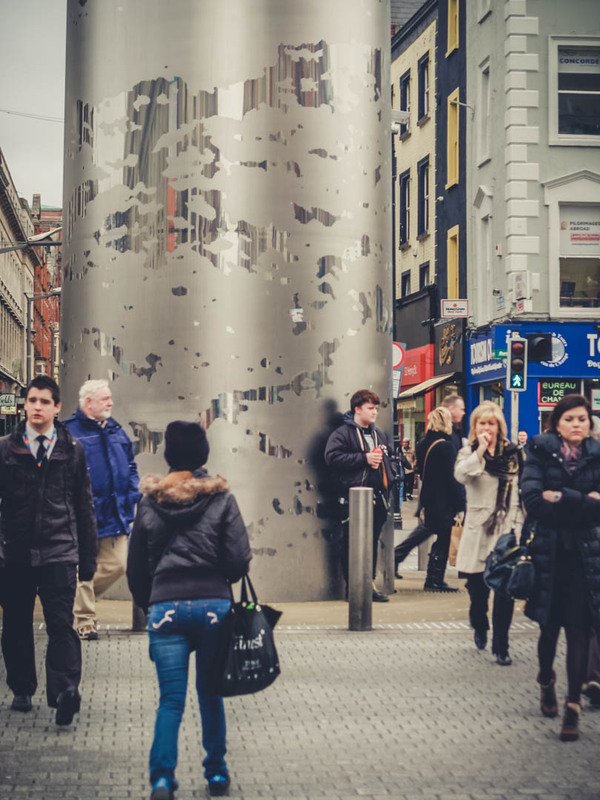 Dublin gets pretty cold in the evening time and having your hands out to control the camera feels like how the T-1000 would have felt when all the liquid nitrogen spilled all over him. Fr-fr-freeeeeezing! My journey usually starts at St. Stephen's Green Park. Taking a walk around ‘The Green’ is usually the first thing I do. There are always locals and tourists chilling out in here (when the sun is out of course). Doing a loop around this park can give you a good insight into how people spend their lunchtime away from work and you can find some interesting characters. 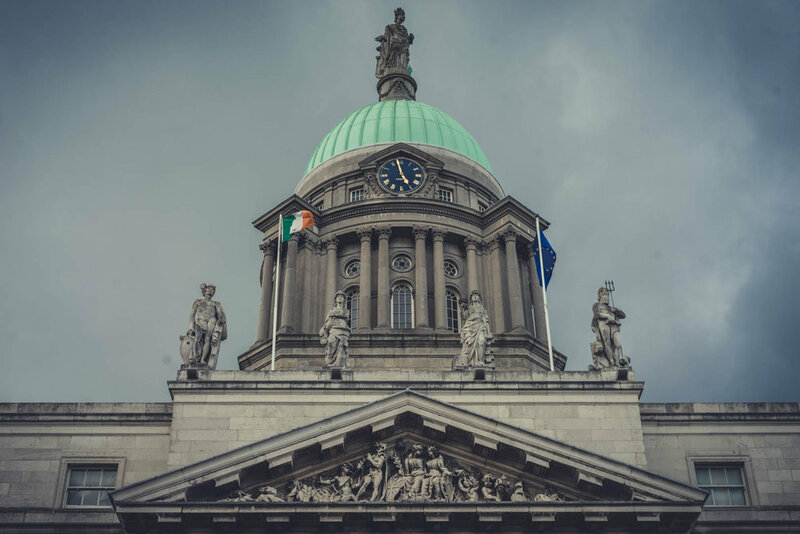 After the park, heading east away from the main entrance, you find yourself on Merrion Row and, turning left onto Merrion Street, you'll see some fine museums and the Dáil (our National Parliament building). This whole area is packed full of Georgian Architecture which, in any light or weather can offer fantastic juxtaposition with the surrounding modern buildings, or offer an old-world aesthetic to your images. 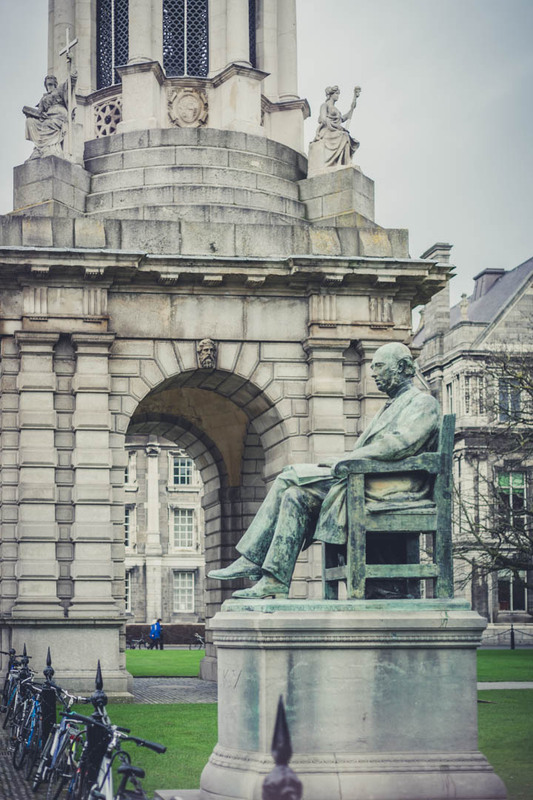 If you are in and around this area you will be hard pressed to not arrive at Trinity College. 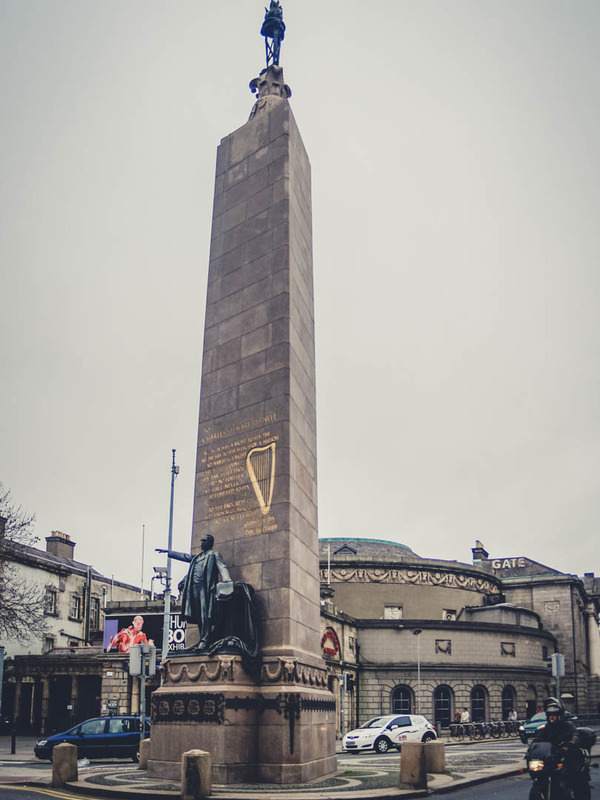 The college campus should definitely be on your list of things to visit while in Dublin. Trinity has a fascinating history and beautiful architecture that lends itself so well to the lens. I would highly recommend a walk through while on your way to the river. Given the grandeur of the grounds, shooting at the wider end suits this location best. 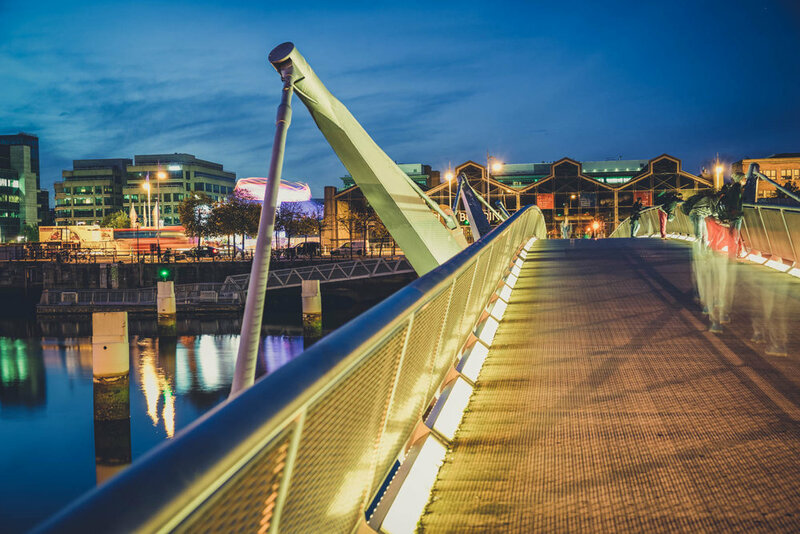 Next, I would recommend turning towards the river Liffey where you will find yourself walking on the historic O'Connell Bridge, one of Dublin's most iconic landmarks. It offers commanding views up and down the river so be prepared to navigate your way through a gauntlet of selfie sticks! From here I simply just like to take my time walking down one side of the Liffey and walking back up the other side. 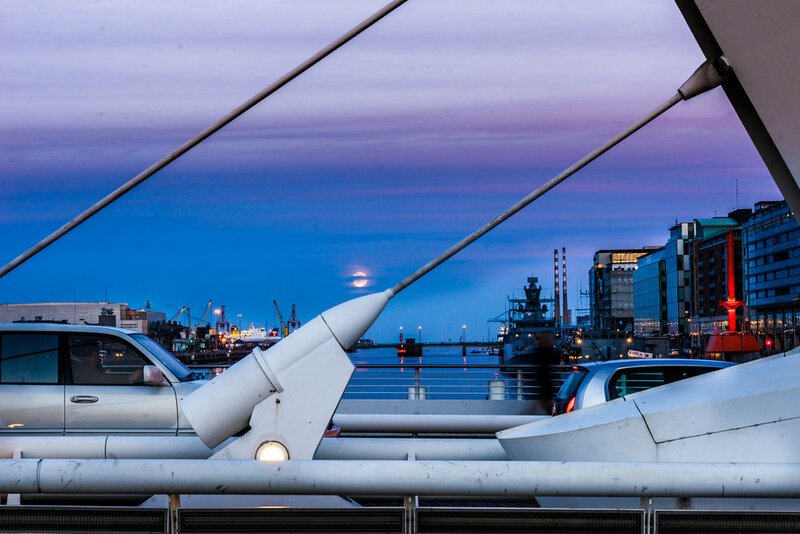 I always try to keep in mind that I would like to be on the Samuel Beckett Bridge for the sunset. 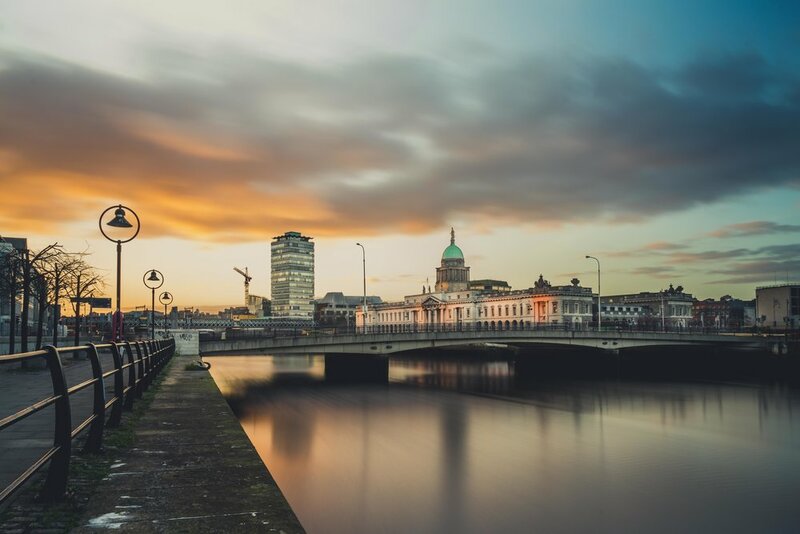 Looking west along the Liffey can offer some stunning sunset photos over the city skyline. 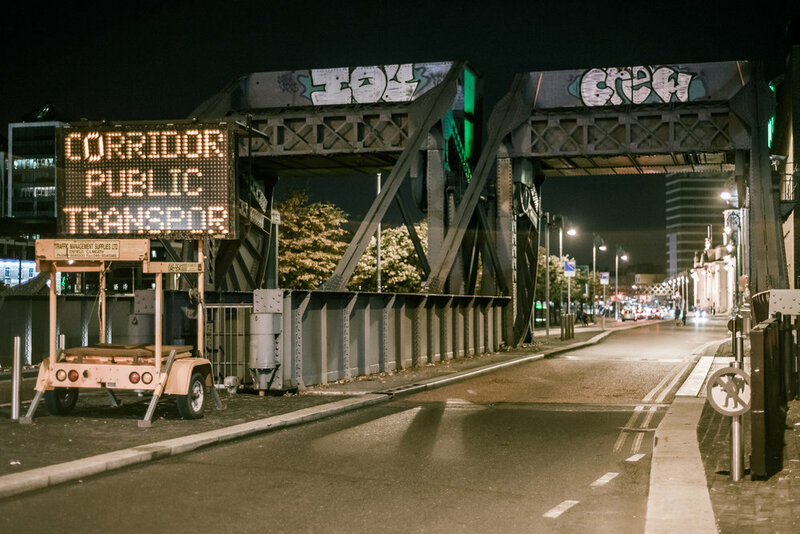 While using a tripod to set up a long exposure is perfect for this location, you will have to time your shots with the traffic lights as the bridge can vibrate when cars pass over. Being around this area after the night has set in, offers great opportunities for time lapses. 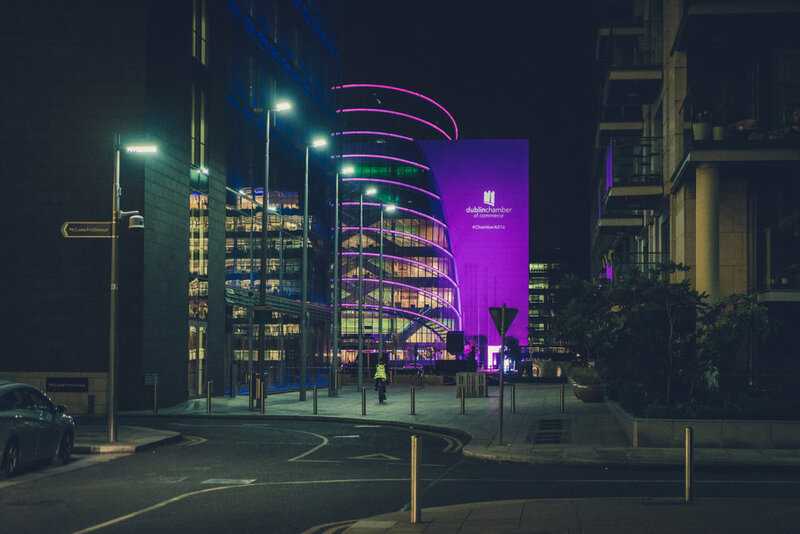 From here, getting the blue hour in and around the Bord Gáis Energy Theatre is well worth checking out. 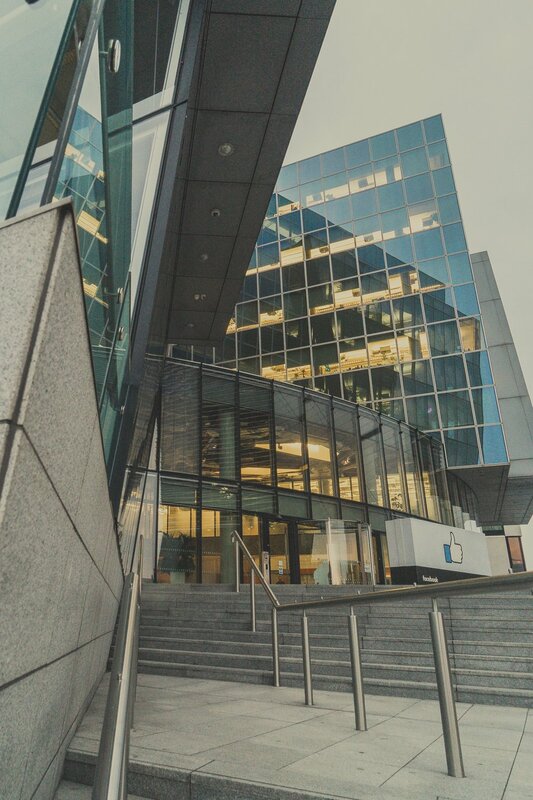 Here you will find some interesting modern buildings that contrast very well with the blue hour light along with the reflections on the Grand Canal dock. After I’ve soaked in all I can in this area I like to put on my 50mm f1.8 lens and just walk around capturing things here and there. 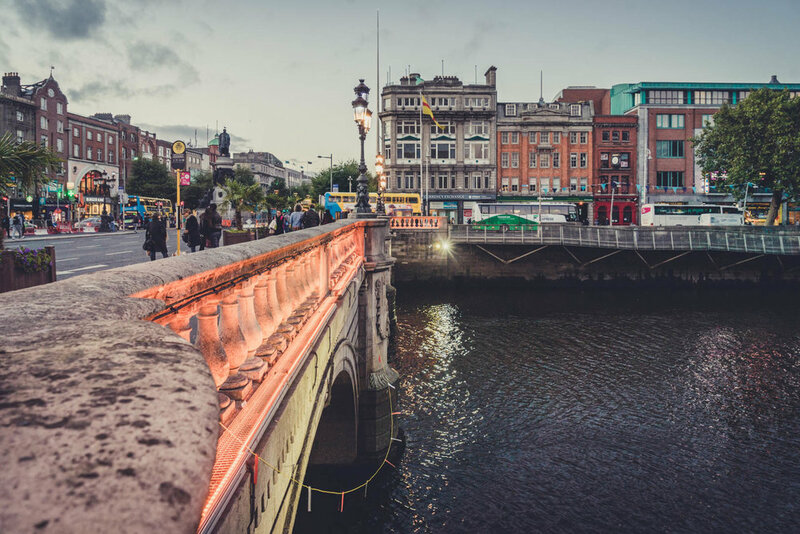 Dublin can come alive after the sun sets, so capturing some street life is lots of fun. 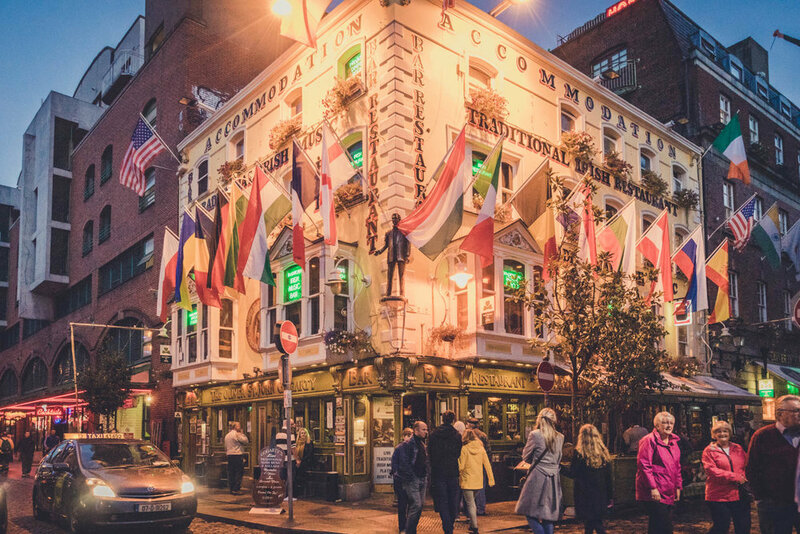 I would be remiss if I didn't mention Temple Bar in a blog post about Dublin City. While I don't really spend too much time in this part of the city, as it is mostly for tourists, there are still plenty of photo opportunities to be had. 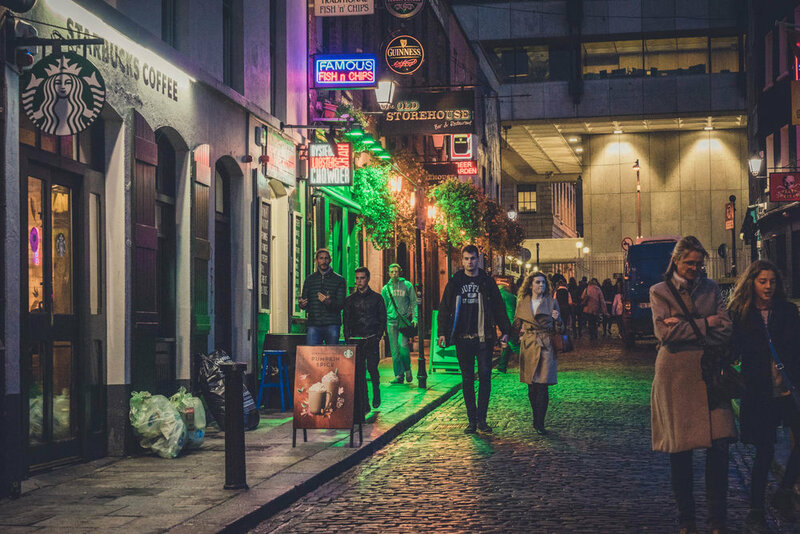 Buskers, iconic bars, neon lights and cobbled streets can make for some interesting compositions. The 'North Side' (as in, North of the river) has plenty of photographic opportunities as well. When heading over to the north side of the city I like to try and practice more of a street photography style. 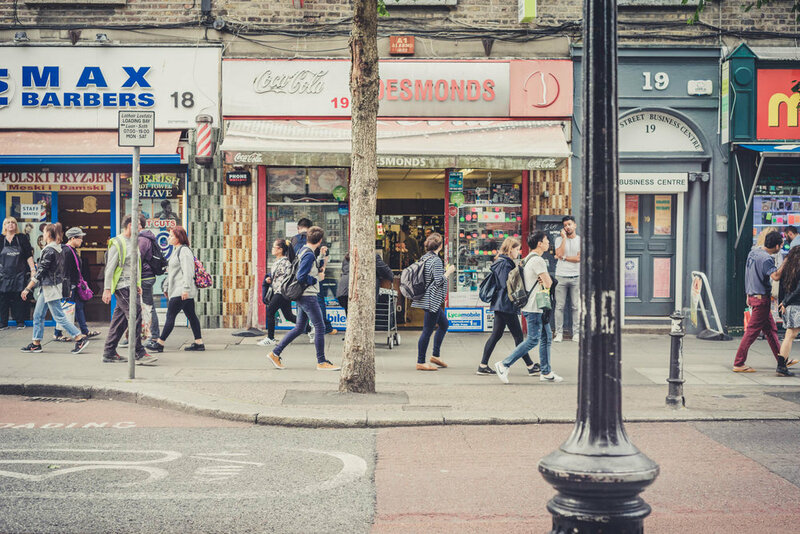 The North Side, heading west from Gardiner Street to Capel Street is always busy with shoppers so there are numerous opportunities to photograph people. 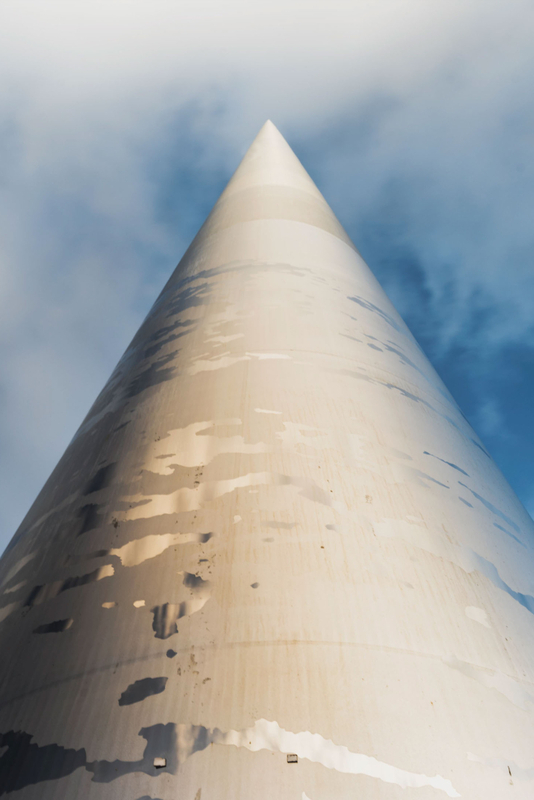 You will cross O'Connell Street where The Spire makes a great centre point to images as it can be seen from many of the surrounding streets. 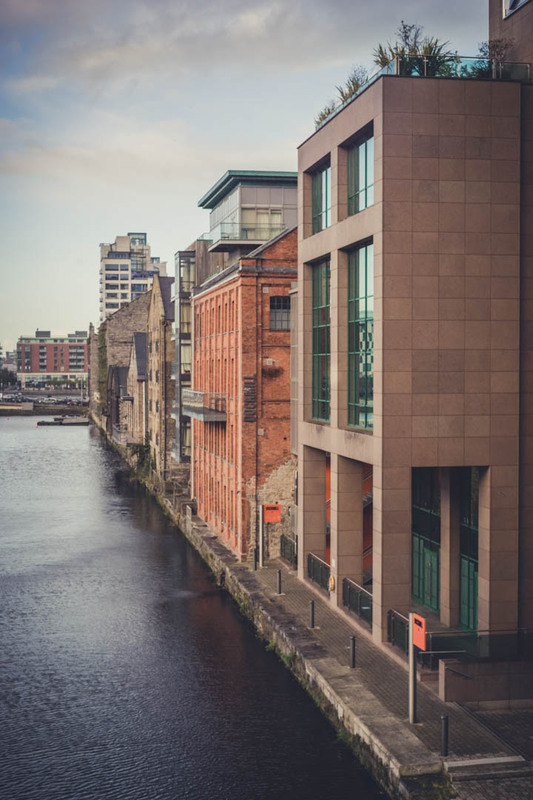 Using the narrow streets, the buildings on either side can create great leading lines that end at The Spire, producing more of a compelling image. 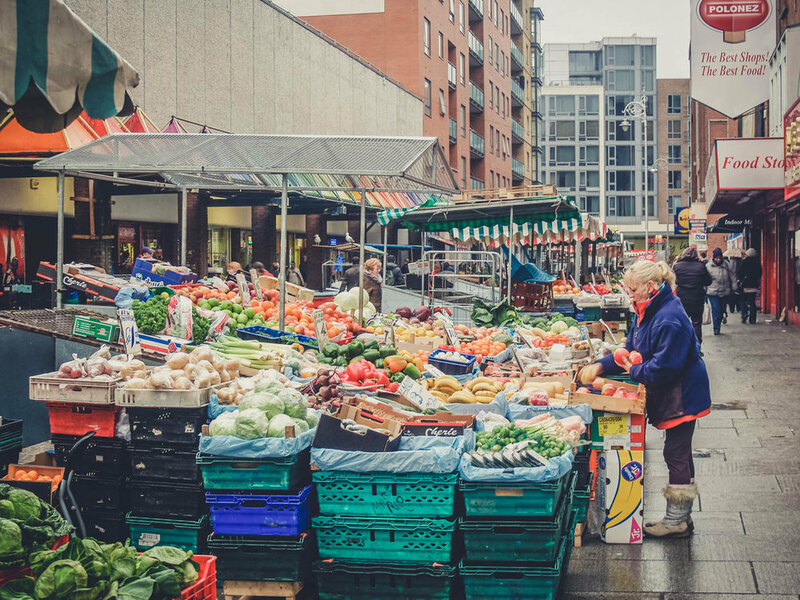 Along this route you will also find Moore Street, one of the city's oldest and most popular market streets. 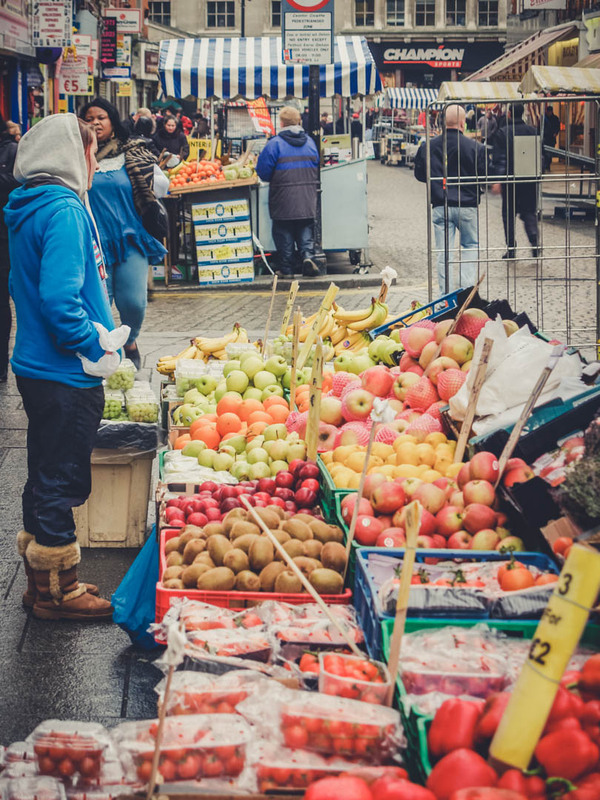 It's full of true Dublin characters yelling their famous "5 for 50" bargains on fruit and veg. There's loads of variety here with shops selling anything from wigs to phones and everything in between. Some days I will go to town with only one lens as a challenge to myself to concentrate more on the compositional elements of the images I am taking. I have two Nikon lenses that I have an adapter for to use on my Sony A7ii, a 50mm f1.8 and a 135mm f2.8. These are both manual focus lenses. Using these gives me a different perspective of the city and helps to hone my skills as a photographer. I would highly recommend to anyone who is new to photography, get at least one prime lens and on random days only go out with that one lens. You will be surprised how it makes you think harder about images. It's great fun! 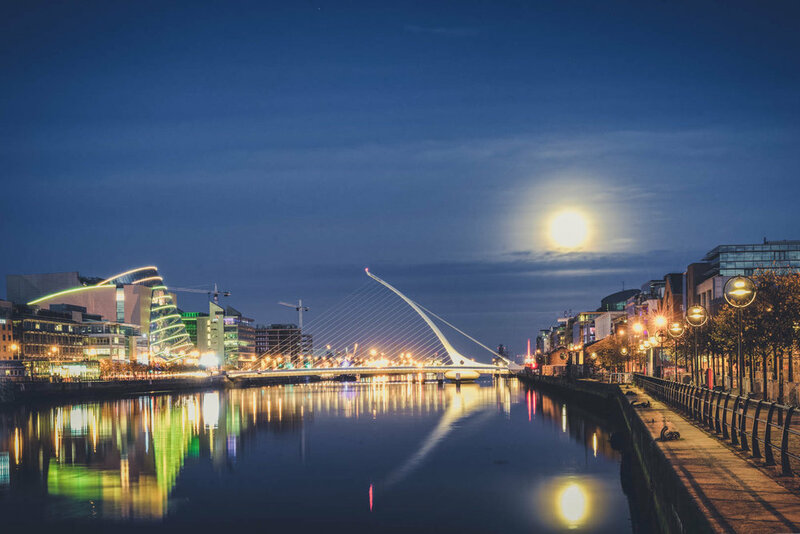 This is by no means a comprehensive guide to Dublin City. 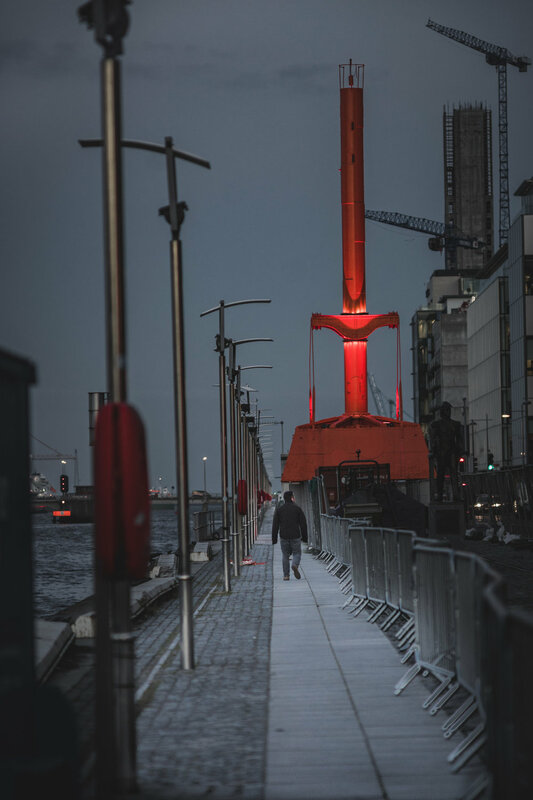 This is simply a post for people coming to Dublin that would like a bit of an insider's perspective about photographing the city. 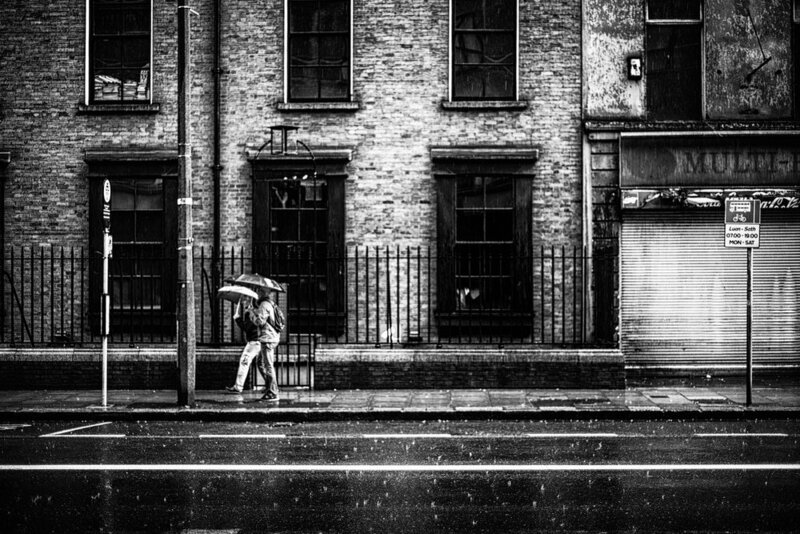 I have wandered the streets of Dublin with camera in hand for the past 13 years or more, so the best piece of advice I can give you is to simply just walk, enjoy the views and be ready to fire off a shot. 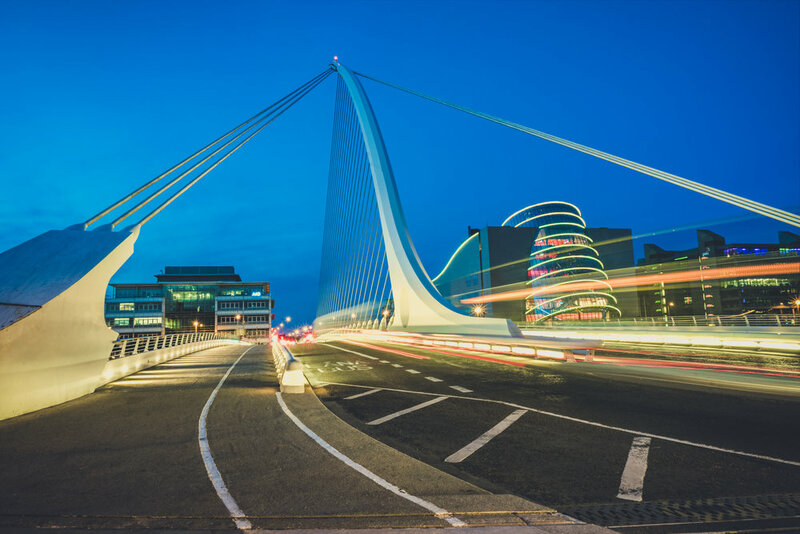 Dublin is moving fast, growing up quickly and even over the last ten years has become a whole new city. Around any corner can give you a great photo opportunity and also don't be shy about asking people to take a picture. You will find them most accommodating. Please feel free to leave any questions or comments and I'd be delighted to help you and offer any advice, if I can. 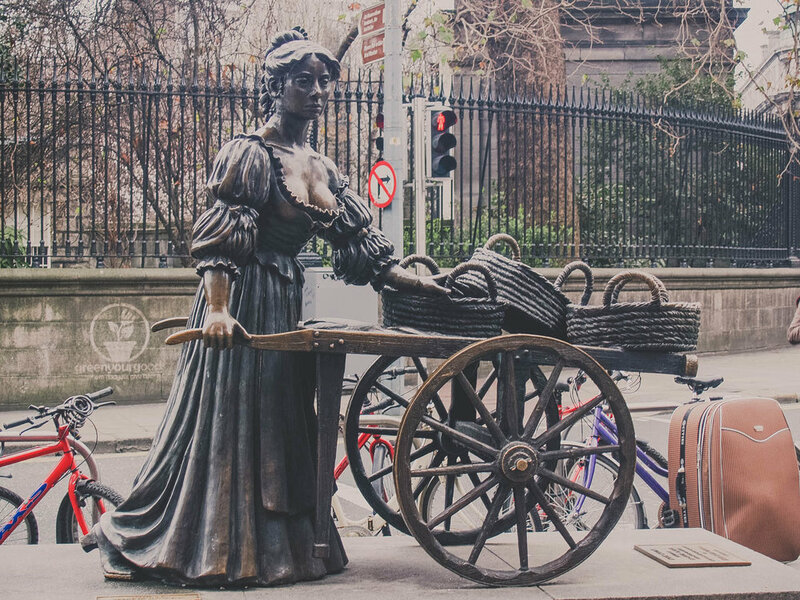 Please do share your experience as I'd love to see some of your Dublin images.